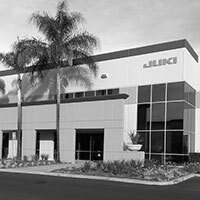 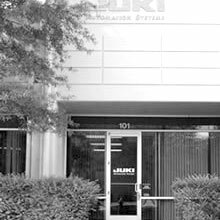 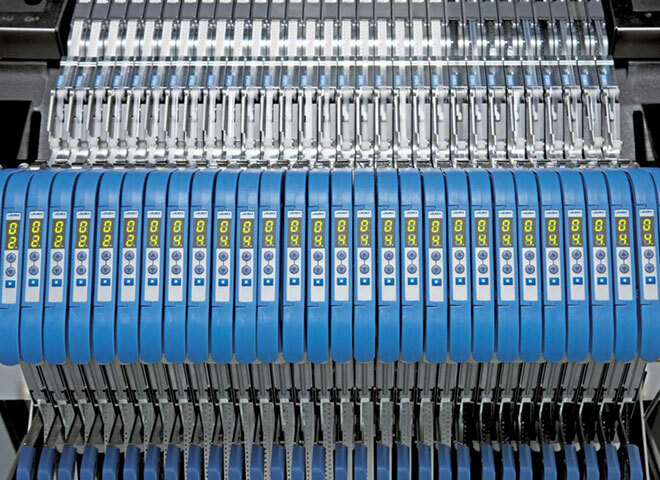 Juki offers a wide variety of tape and stick/tube feeders to place any part. 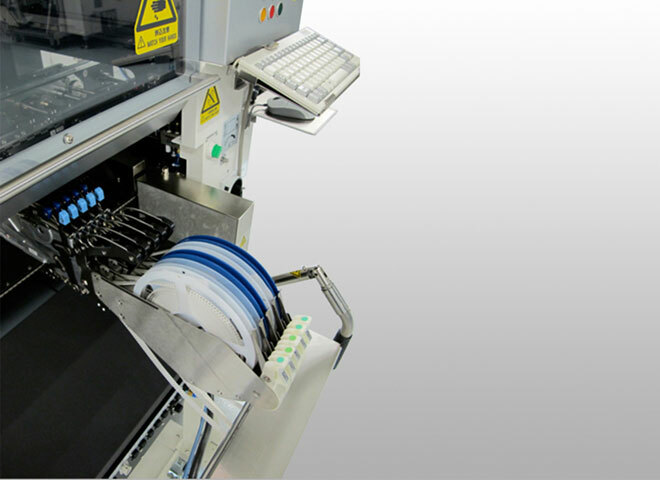 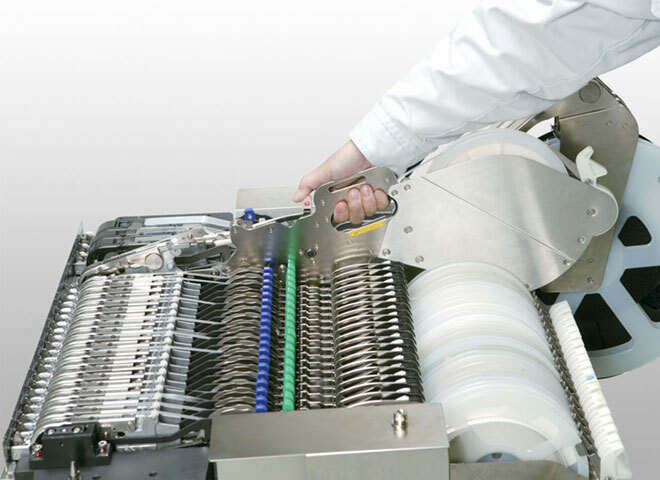 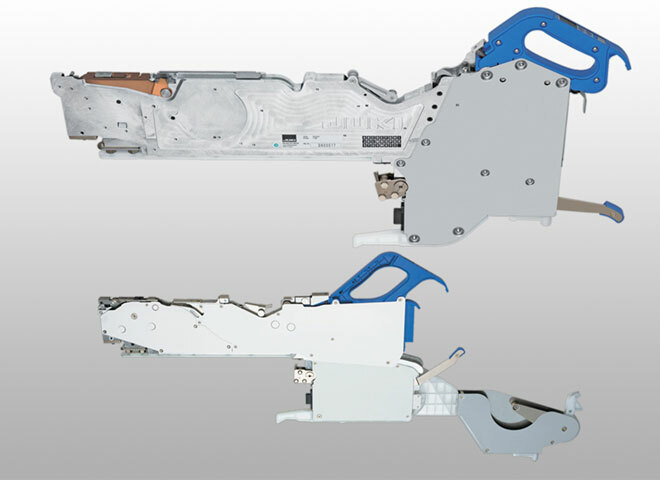 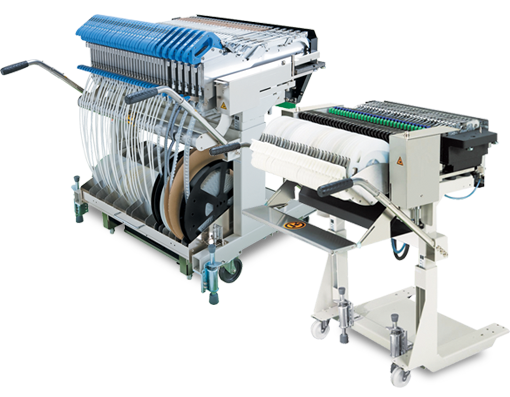 Juki also offers a spliceable tape feeder from 8mm (0402) through 24mm. 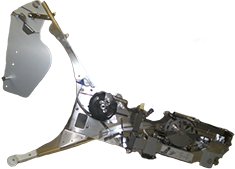 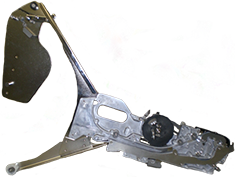 8mm tape feeder with 2mm and 4mm pitch increments for parts 01005 through SOT – compact feeder with sturdy locking mechanism and enhanced userability. 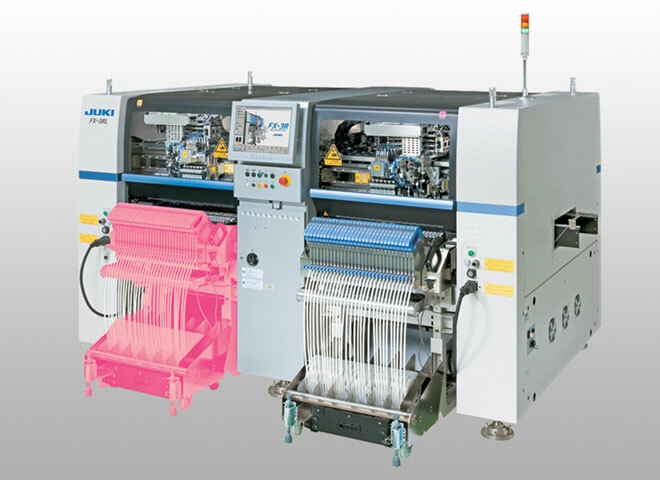 12mm - 24mm tape feeder. 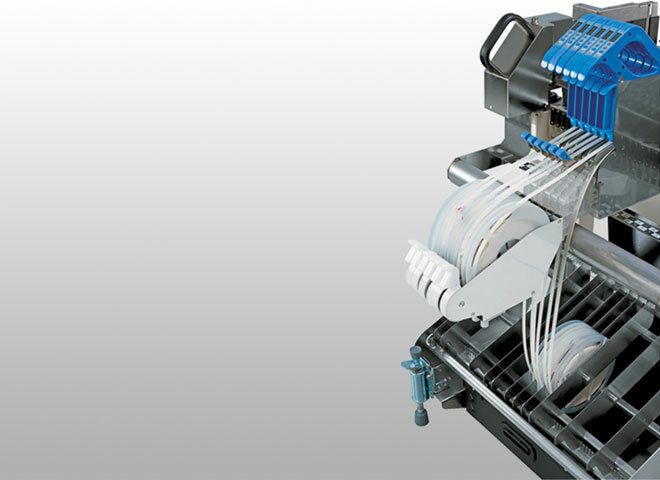 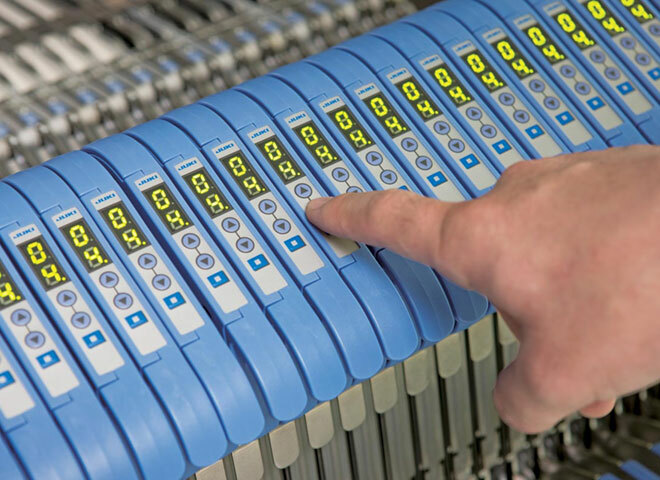 Single knock tape feeders for enhanced usablity and reliability. 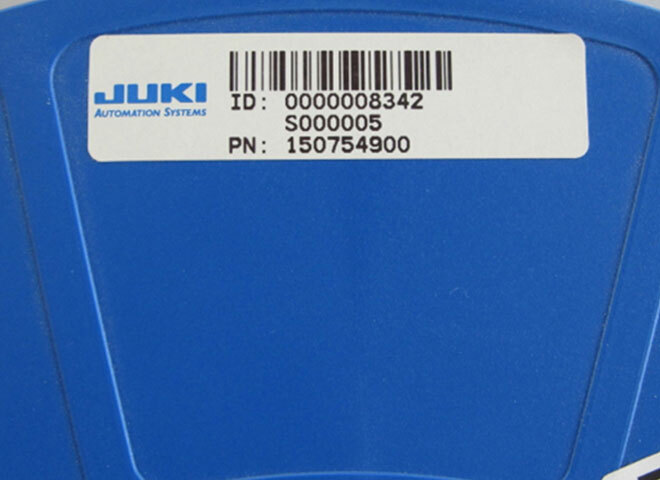 Juki SFN/SFW stick feeder. Juki adjustable width stick feeder for single tube parts. 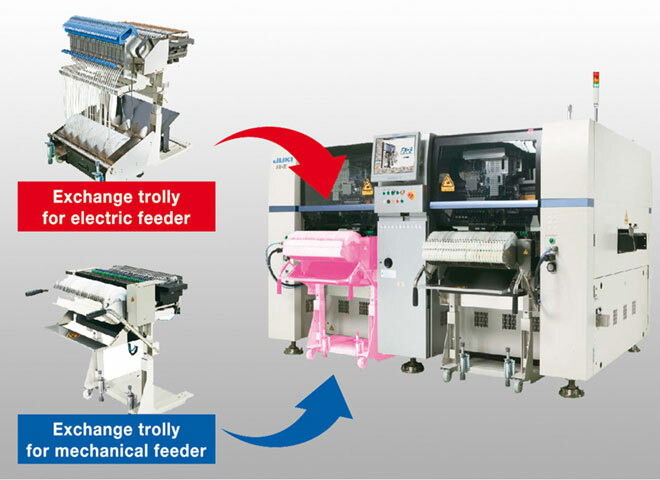 The Small IC Feeder is a single lane tube feeder designed for easy feed of smaller IC components with exchangeable part nest. 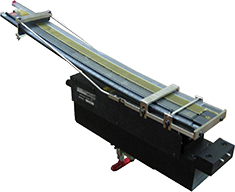 The Multi-lane Belt Feeder is a multi-lane feeder for standard and custom tube parts. 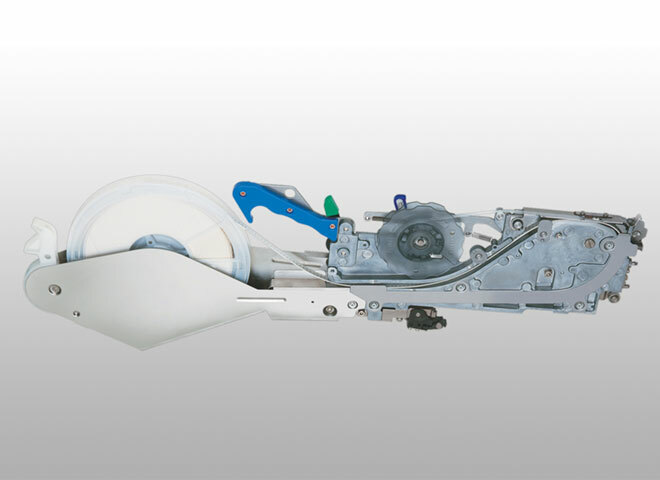 32mm - 56mm tape feeder. 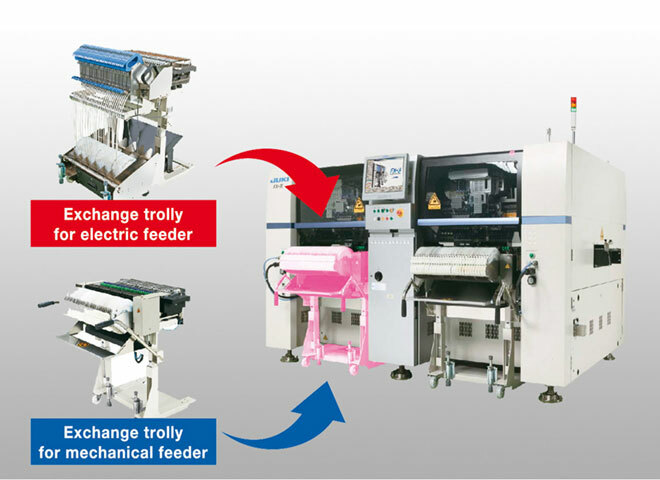 Featuring deep pocket for tall parts, wide range of feeding pitches increments, large sprocket for smoother advance of parts, toggle clamp locking mechanism for easier placement of the feeder on the machine with excellent pick reliability, and carry handle for easy transport. 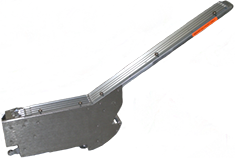 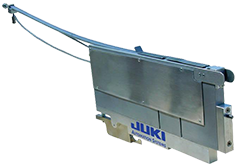 The high quality Quick Change Vibratory Feeder from Juki comes with a single generic base for use with tube fed parts. 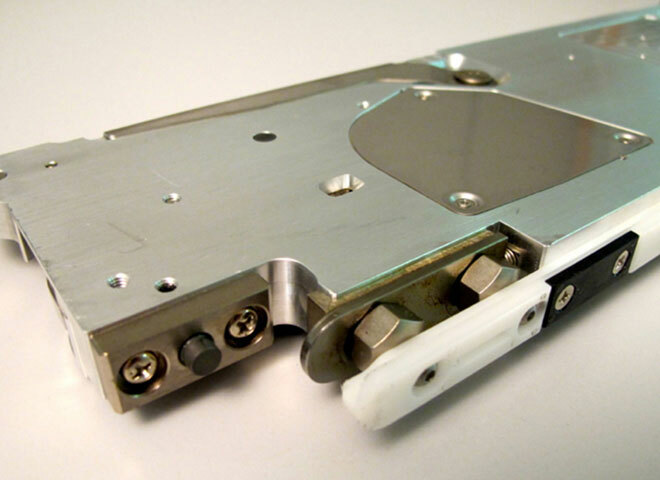 The base vibrates using an electric motor. 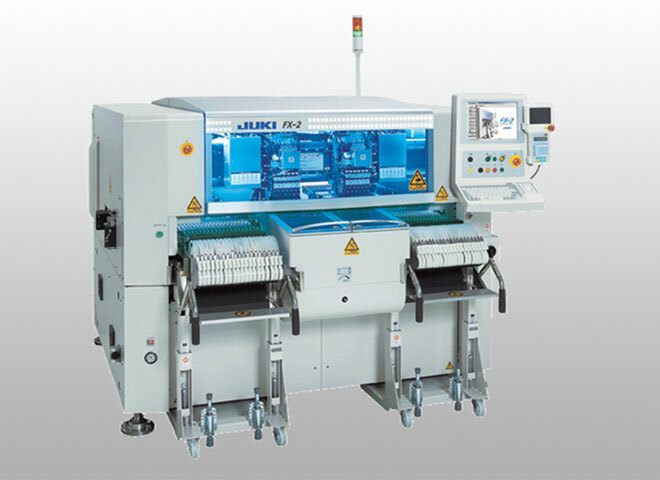 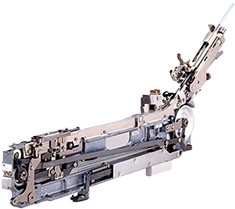 Compatible with all Juki 700 and 2000 series machines, 69 mm vibe base width for handling tube parts, (8) maximum 8mm tube parts or any combination of tube parts up to 69mm.